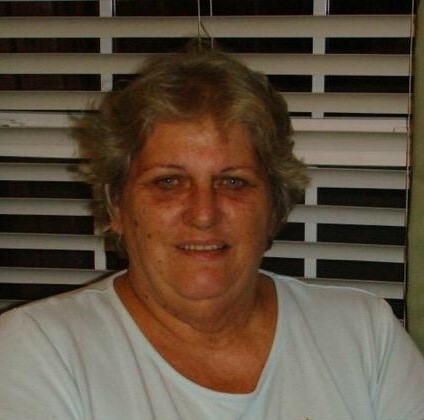 Hilda Hawkins Wetherington, 67, of Dover passed away on Saturday, November 17, 2018, at Life Care Hospital in Rocky Mount. She was preceded in death by her spouse, Donald Lee Wetherington; parents, Wade and Celia Hawkins; brother, Calvin Hawkins and sister, Evelyn Hawkins White. She was a loving mother, grandmother, great-grandmother, sister, aunt and friend. Survivors include her daughter, Lisa Gates and fiancé Steven Shackelford; sons, Jim Anderson and fiancé Rebecca Willis and David Wetherington and wife Ashley; grandchildren, Katelyn Pike, Taylor Anderson, Landon Gates, David Wetherington, Jr., Aaron Wetherington, and John Wetherington; step-grandchildren, Lauren Willis, Mathew Willis, Landon Shackelford, and Pierce Shackelford; great-grandchild, Hudson Pike; sister, Glenda Johnson; many loved nieces and nephews. Visitation will be held from 6:00-8:00 p.m., at Garner Funeral Home, Tuesday, November 20, 2018 and other times at the home of her daughter. Graveside service will be held 11:00 a.m., at Hawkins Family Cemetery, Thursday, November 22, 2018.